Send a gift instantly in the amount you choose. 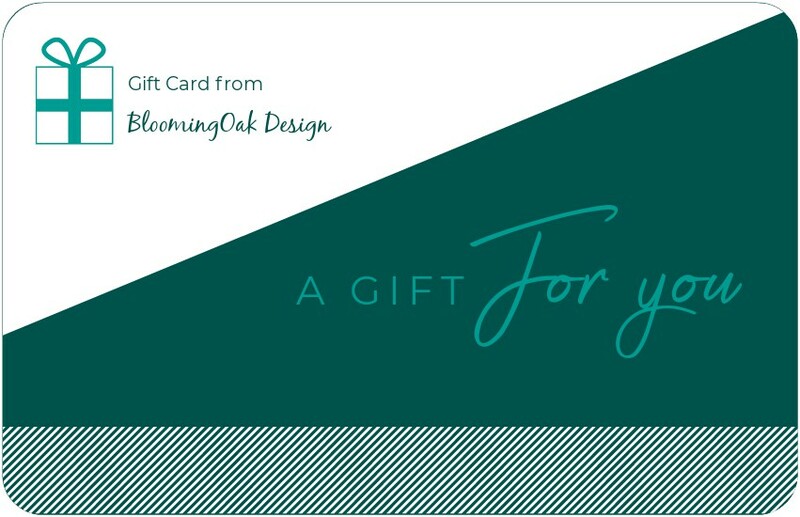 eGift cards are powered by Square and are valid on bloomingoakdesign.com only. Not valid when using PayPal as payment mechanism (select Credit Card instead). Card value never expires but use it before you lose it! Subscribe to my mailing list and receive 10% off your next order!